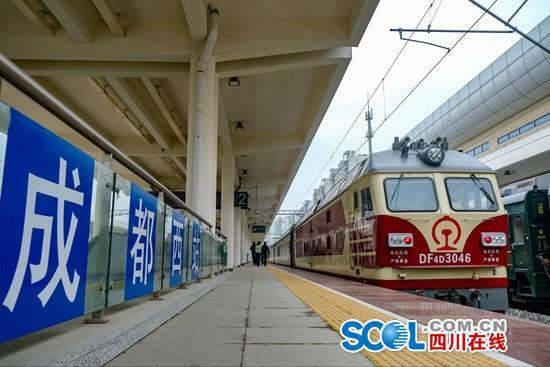 A multi-functional comprehensive testing train went rapidly from Chengdu West Station to the direction of Wenjiang on Oct 14, marking the official entry of the newly built Chengdu to Pujiang railway into the joint debugging and commissioning period. Chengdu-Pujiang railway along with the expanded and reconstructed Chengdu West Railway Station is striving to go into operation within 2018. The joint debugging and commissioning is a key step before the new railway's operation, it is also a comprehensive test of the line quality by the railway operators along with the departments responsible for construction, designation, supervision, and so on. During the period of joint debugging and commissioning, the railway department will arrange driving light locomotive, testing trains as well as comprehensive inspection bullet trains on the new line to confirm the running conditions. 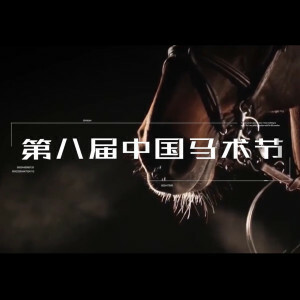 They also need to do a panoramic inspection test on the contact line, track structure, signal communication, disaster prevention and mitigation, passenger handling, and other functions according to the different speed levels, so as to provide a crucial technical support for the new line's opening and operation. 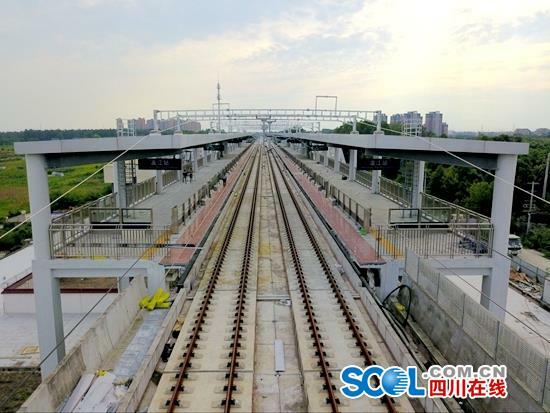 The Chengdu-Pujiang (Chaoyang Lake) section of Chengdu-Yazhou Railway is approximately 98 kilometers long，and the designed speed is 200 kilometers per hour. It is a double-line electrified railway. Based on the reconstruction of existing Chengdu West Station, it adds eight new stations including Wenjiang, Yangma, Chongzhou, Dayi, Qionglai, Xilai, Pujiang, and Chaoyang Lake. 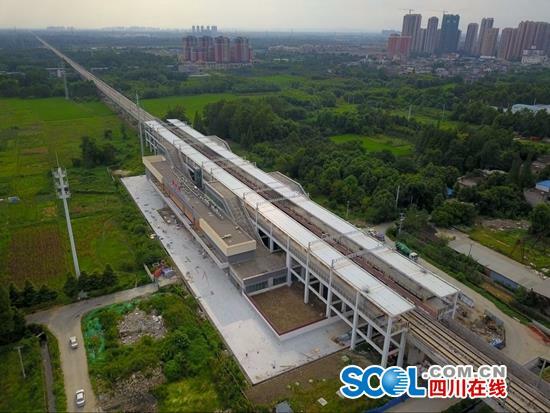 This railway will be significant in connecting Chengdu's central part with its western regions, promoting coordinated development of urban and rural areas, and giving impetus to make Chengdu an international integrated transportation and communication pivot.